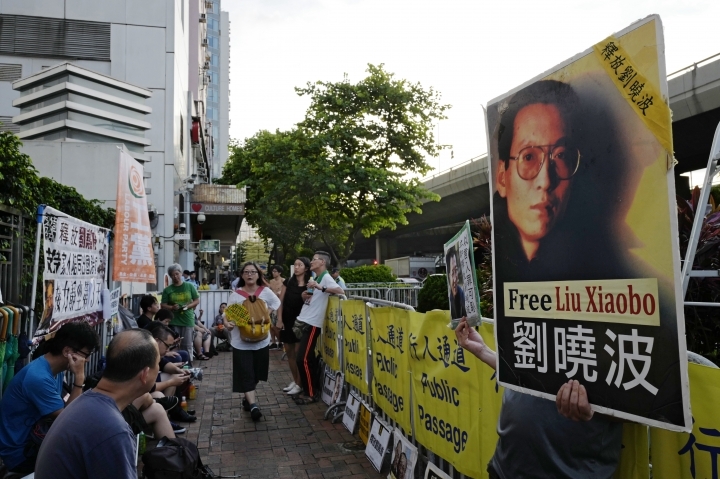 U.S. officials want Chinese authorities to allow Nobel Peace Prize laureate Liu Xiaobo and his family the freedom to choose his medical care. The hospital in Shenyang, China, that has been treating Liu for advanced liver cancer said Wednesday he was in life-threatening condition from multiple organ failure. White House spokeswoman Sarah Huckabee Sanders said from Washington: "We remain concerned that both Mr. Liu and his family are unable to communicate with the outside world and that he is not free to seek the medical treatment of his choosing." Sanders urged China to grant him full parole and release his wife from house arrest. Liu was convicted in 2009 of inciting subversion for calling for political reform and was awarded the Nobel a year later while serving his sentence. Chinese dissident artist Ai Weiwei says China's imprisonment of ailing Nobel Peace Prize laureate Liu Xiaobo is "a shame for the Chinese government and a shame for the international community." Ai told The Associated Press in Germany on Wednesday that he has been friends with Liu since the 1980s. 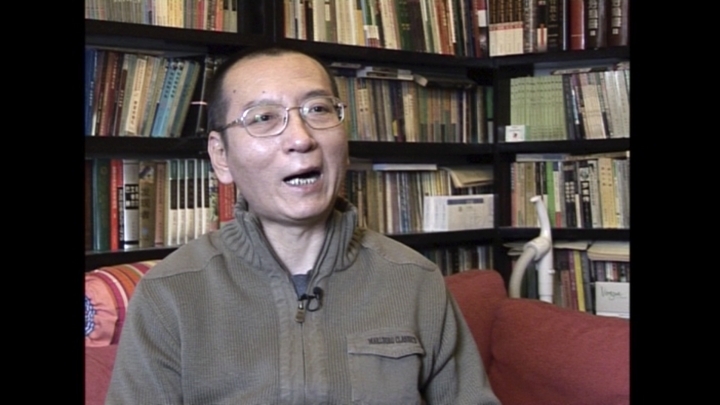 He described Liu "as a very soft and intellectual kind of scholar" who was falsely accused and wrongly imprisoned for openly discussing the country's future. Ai said Liu is one of many dissidents being oppressed in China. 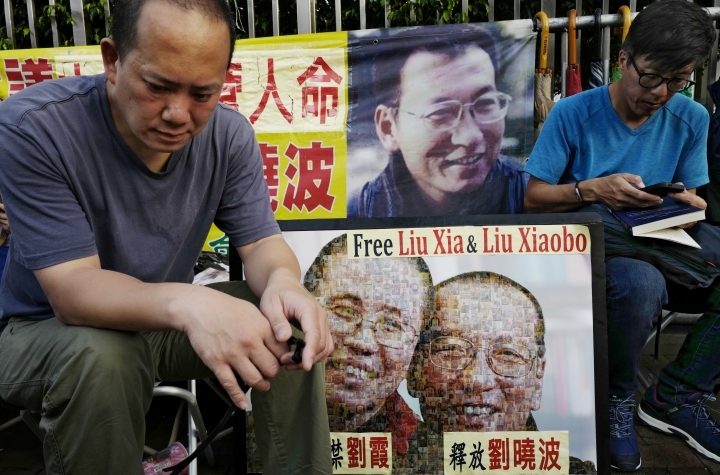 Liu, China's most prominent political prisoner, is being treated for late-stage liver cancer. His hospital says he has respiratory failure and his condition is now life threatening. The German government is urging China to allow imprisoned Nobel Peace Prize laureate Liu Xiaobo to leave the country for medical treatment. Chancellor Angela Merkel's spokesman, Steffen Seibert, told reporters Wednesday that Liu, who is suffering from advanced liver cancer, has asked to leave with his wife for treatment abroad. A German doctor visited Liu at a hospital on Saturday, along with an American colleague. The hospital says Liu, China's most prominent political prisoner, has respiratory failure and his condition is now life threatening. The Chinese hospital treating Liu Xiaobo says the imprisoned Nobel Peace Prize laureate has respiratory failure and his condition is now life-threatening. The First Hospital of China Medical University said Wednesday on its website that Liu needs a tube to be inserted into his windpipe to give him breathing support. It said Liu's family has refused the tracheostomy. Liu and his family, who are being closely guarded in the hospital, could not immediately be reached for comment. The hospital reported that Liu, who has advanced liver cancer, is also suffering from renal failure and septic shock, and that blood clots have formed around his body. The ailing health of China's most prominent political dissident has become the subject of international attention, with supporters and several foreign governments calling for him to be released to go abroad for treatment.